To tour Mallorca by bicycle is to see why it’s considered the pinnacle of cycling for all types of riders. Mallorca is the largest of Spain’s Balearic Islands, a chain that includes Ibiza and Minorca, with all the tropical trappings: sun-drenched beaches, secret swimming coves, and seaside restaurants. 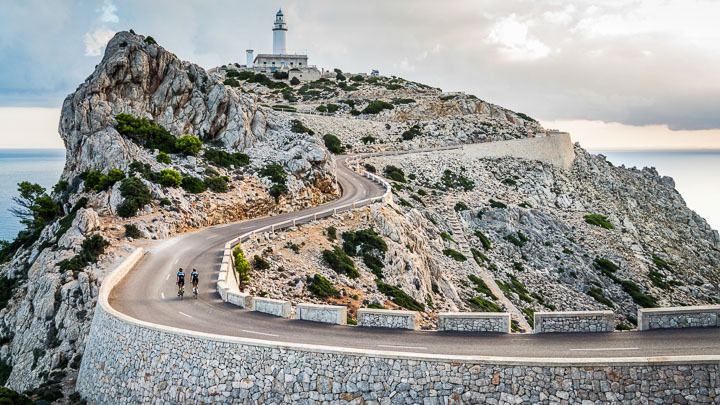 But it’s the UNESCO-protected Tramuntana Mountains and excellent paved roads along the Mediterranean that make this a cycling paradise—plus stops in market towns and coastal communities constructed of sandstone before the bike tour ends in Palma.